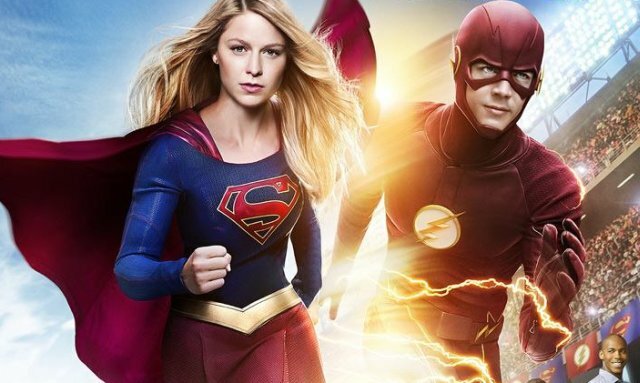 The Flash and Supergirl Midseason Premiere Trailers Debut! The CW has released the first trailers for The Flash and Supergirl midseason premieres which you can check out in the players below. Episode 2.09 of Supergirl is titled “Supergirl Lives,” a nod to director Kevin Smith’s failed Superman film from the 1990s. Smith directs the episode, which is set to air Monday, January 23 on The CW. Supergirl stars Melissa Benoist alongside Mehcad Brooks as James Olsen, Laura Benanti as Alura Zor-El, Calista Flockhart as Cat Grant, Chyler Leigh as Alexandra “Alex” Danvers, Jeremy Jordan as Winslow “Winn” Schott, Jenna Dewan Tatum as Lucy Lane (sister of Lois), David Harewood as Hank Henshaw, Peter Facinelli as Maxwell Lord, with Dean Cain and Helen Slater. Supergirl season two also features recurring roles for Katie McGrath as Lena Luthor, Floriana Lima as Maggie Sawyer, and Lynda Carter as the President of the United States.